I was thrilled when I went to the grocery store to find fresh gluten free lasagna sheets! This allowed me to not only make lasagna but use the same sheets to make other pasta dishes as well. 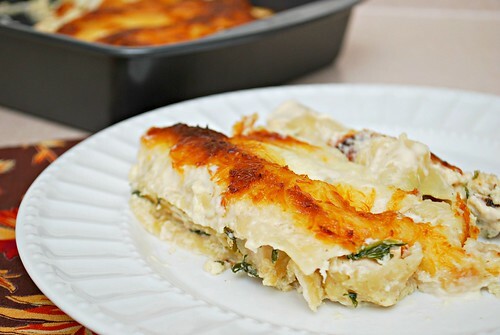 Cannelloni is one of those dishes and I was excited to make this recipe. To save time, I used a rotisserie chicken which I deboned and shredded. If you prefer, you can also roast or boil some chicken breast and shred too. You can also use your favorite homemade or store bought alfredo sauce as well. And if a freezer meal is what you're after, this works wonderfully. For a freezer meal, prepare as directed up until all the rolls are filled in a baking pan. Cover with plastic wrap, then foil and freeze. When you're ready to enjoy it, defrost and then cover with alfredo sauce and cheese before baking. I love how the rolls are filled with a nice savory and cheesy filling. The chicken, spinach and cheeses work so nicely together. 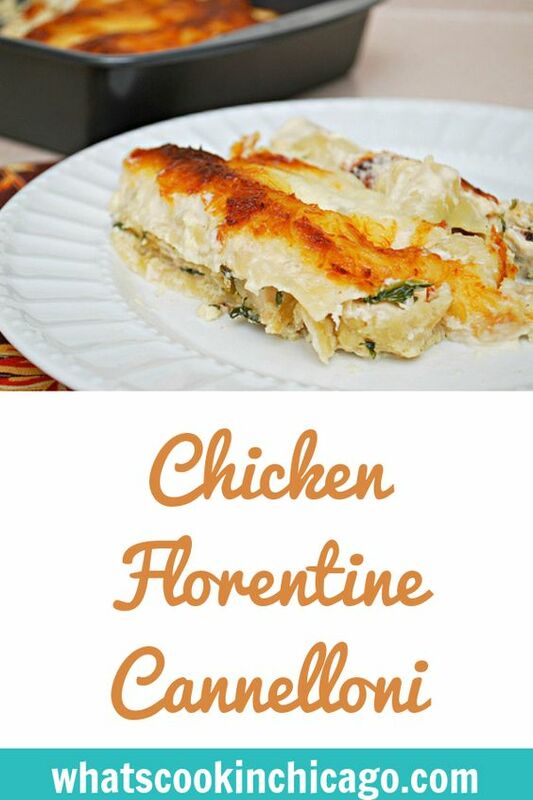 They're comforting as they should be and are excellent with garlic bread! Preheat oven to 350 degrees F. Lightly grease a baking pan with cooking spray and set aside. Cook lasagna sheets in boiling water until softened and al dente. Drain and set aside until cool enough to handle. In a large bowl, combine the chicken, garlic, spinach, ricotta and mozzarella. Season with salt and pepper to taste. Once pasta sheets are cool enough to handle, place 2-3 rounded tablespoons of filling down the center horizontally of each sheet. Carefully fold and overlap the sides of the pasta over the filling. Using a spatula, transfer the filled pasta roll to the prepared baking pan. Repeat with remaining pasta sheets and continue until filling has been used up, placing the filled pasta rolls side by side. Cover the filled pasta rolls with alfredo sauce completely and sprinkle with Parmesan and shredded mozzarella cheese. Cover baking pan with foil and bake in the preheated oven for 20 minutes. Remove foil and then continue baking uncovered for another 20 minutes. Remove from oven and allow to cool for 15-20 minutes before serving. We've been/are doing noodles all week because the weather's been so chilly!